Maxwell Inn is situated only a few short blocks from the heart of historical downtown Bardstown, "Most Beautiful Small Town in America" (Rand McNalley & USA Today). 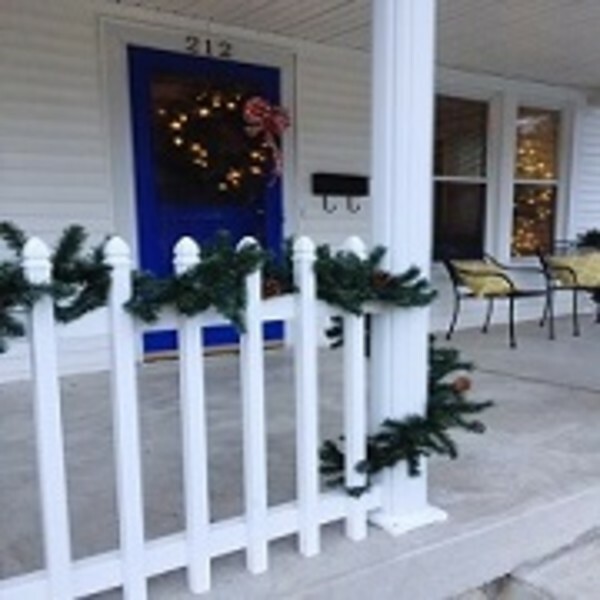 Our cozy Bed & Breakfast Inn is within walking distance to downtown shopping, dining, and historical attractions. Feel at home in this charming and cozy private Inn while enjoying everything our picturesque small town has to offer. Maxwell Inn accommodates up to four guests at a time, with double beds in both bedrooms. Wi-fi included. Guests will receive access to the entire home with a continental breakfast delivered daily. Experience small town-southern hospitality during your stay at Maxwell Inn. Contact Jina Gibson-Hurst, Innkeeper, for additional details.